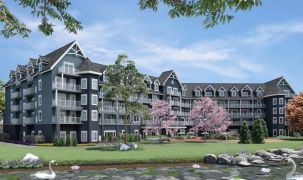 Recently opened (late 2016), this retirement village builds on the experience of other Schlegel Villages, in a brand new facility that progresses Schlegel's innovative approach to senior care. 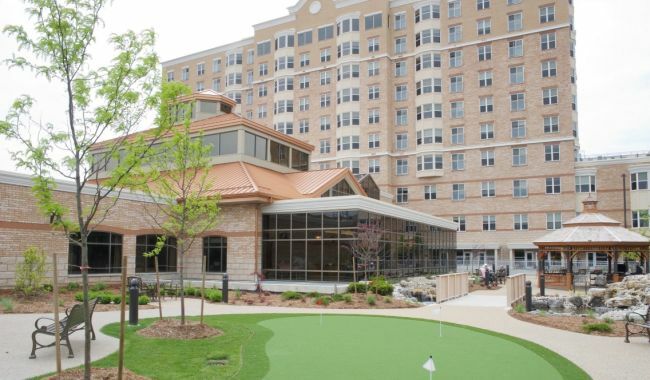 Care ranges from independent suites with walk out patios to units in the village's memory care neighbourhood. Schlegel's philosophy emphasizes flexibility, resident empowerment, diversity and collaboration among staff; the company has built a formidable reputation for innovation and leadership in the senior care industry. The village is well situated in a newly developed area of Hamilton mountain, conveniently close to copious shopping, with the pleasant countryside of the Niagara Peninsula a short drive away. Wentworth Heights is the perfect fit for Hamilton area seniors who miss the old days when you knew your neighbours and everyone you met had a friendly "Hello." The village concept is truly unique and has to be experienced to be appreciated. Staff and residents love life in the village. A true village environment is created under the roof of the residence, where a pleasant stroll through "downtown" takes you past a general store, library, café, chapel and other outlets that remind residents of small town living of the past. 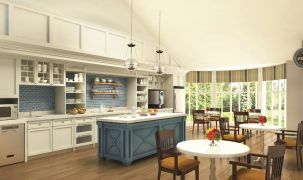 Extended family life is integrated into the fabric of residence living. The dementia care neighbourhood here offers unique help for Alzheimer's sufferers, where compassion, gentleness and support are the bywords. The Schlegel Village was very supportive in the transition here. After sitting down with staff, we decided as a family that this was the right move for mom… Every week we see a lot of improvement in her... [By the time we moved her in] we knew that she was in good hands and we knew that she would be taken care of. Everything worked out so well. The move-in went so smoothly, and I have to say we are exactly where we want to be. 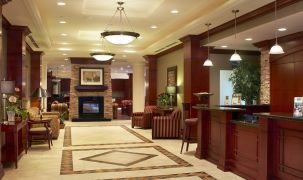 Fantastic suites and facilities. The staff are very knowledgeable.